Violinist, chamber musician, conductor and teacher, Sándor Végh was one of the most important musicians of the twentieth century. He left Hungary in 1946, to live in France, then later Switzerland and Germany, and in the final decades of his life he made his home in Salzburg in Austria. Végh played with the finest musicians of the century. He performed as a chamber partner to Ernő Dohnányi, Annie Fischer, Mieczysław Horszowski, Wilhelm Kempff, Rudolf Serkin and Yehudi Menuhin. For many years he played with Pablo Casals at the legendary cellist's Prades Festival. His legendary Végh Quartet played together for nigh on forty years, all the while being at the cutting edge of the music world. 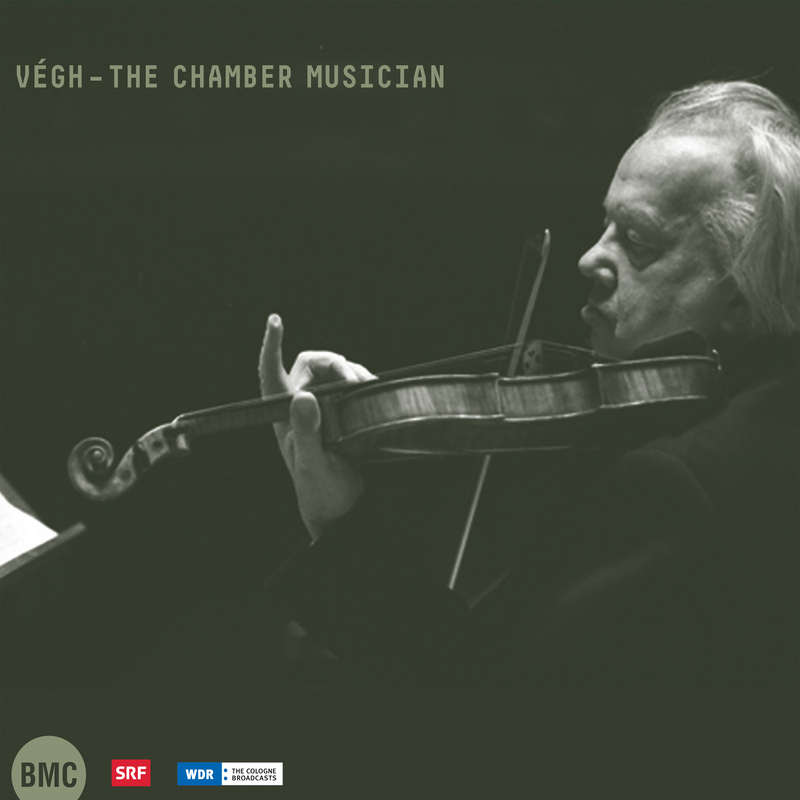 Right from his early student years, Sándor Végh showed great interest in contemporary music, and this attraction, curiosity, and commitment lasted all through his life. In the selection of the pieces an important aim was that the choice should reflect the simultaneous presence of traditions and modernity in Vegh's art. With this in mind, this 4th double disc of BMC's exclusive Vegh series features the Beethoven C major 'Razumovsky' Quartet, with which the Vegh Quartet won the Geneva Music Competition, the great Viennese composer's Violin Sonata No. 10 in G major and Schubert's String Quintet in C major, along with Arnold Schoenberg's Pierrot lunaire, a defining piece of the 20th century, performed by members of the Vegh Quartet and selected musicians.